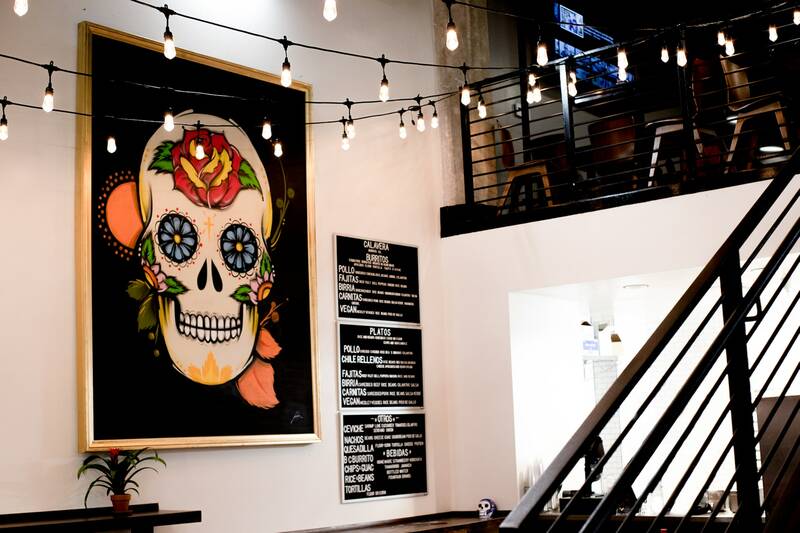 About Us - Calavera Burrito Co. The Calavera is a sugar skull ( Spanish - pronounced [kalaˈβeɾa] for " skull "). In Mexican culture, it is a common gift for children and a symbolic decoration for the Day of The Dead. At face value, the Calavera can sound morbid or macabre, but in actuality, it serves as a statement that death is just as powerful and sacred as life. The Calavera tells us to live life to the fullest. It is a reminder to honor our FAMILIY and loved ones who have passed with love, light, a smile and courage. Oh, and also... to eat some burritos. A great many people have been involved in bringing this concept to reality. Special thanks goes the team from Beacon of Hope, Hope for the Hurting 501(C)(3), and Augustus Charles' Calj's Honor Release Project. All of these organizations are dedicated to the rehabilitation and well-being of men, women and children, in a united effort to create a drug free environment for our children. A portion of the money that is made by this restaurant is used to support these worthwhile charities. If you have an interest in learning more about them, or would like to make a special donation, please see management.